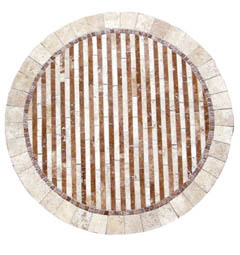 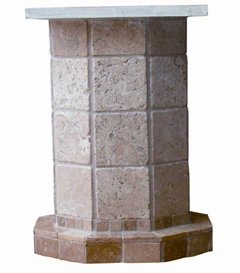 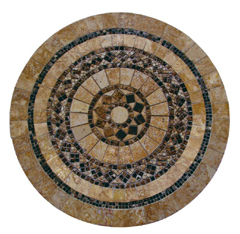 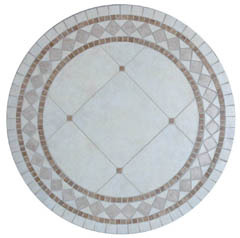 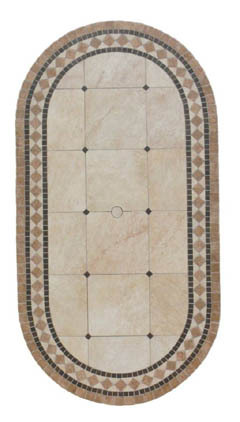 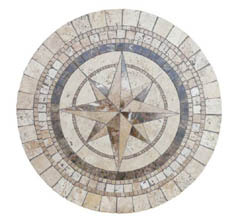 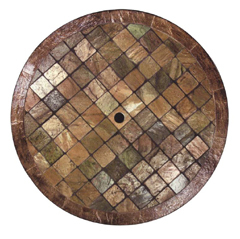 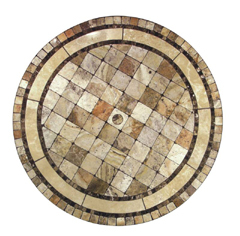 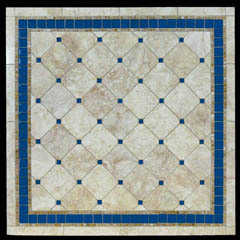 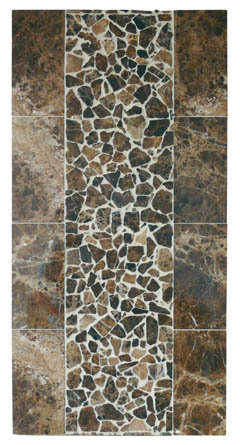 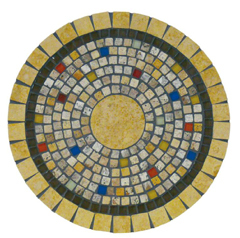 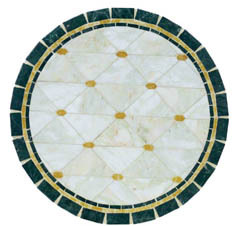 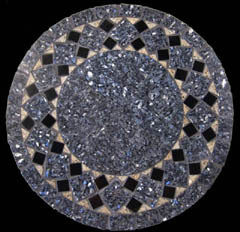 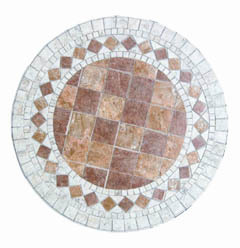 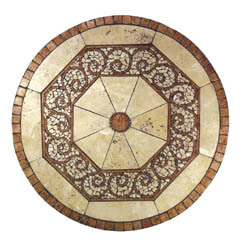 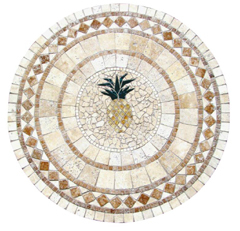 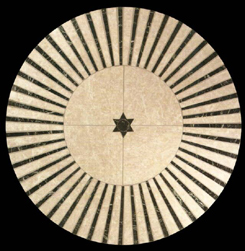 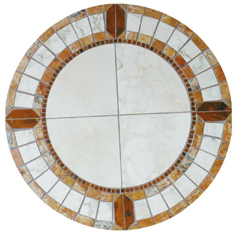 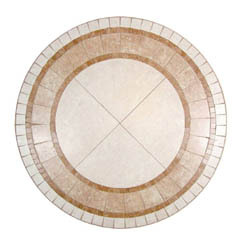 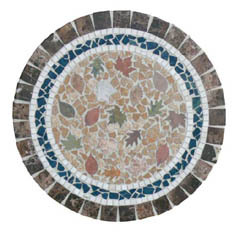 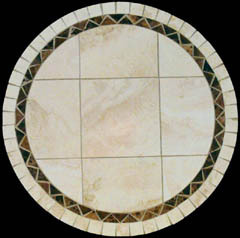 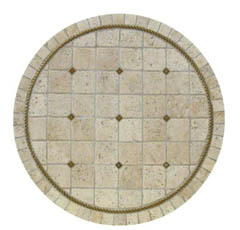 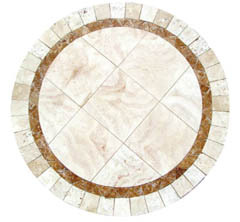 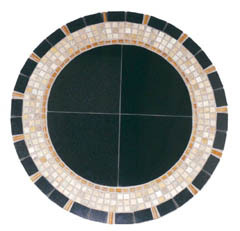 Our entire collection of mosaic stone cocktail table tops can be crafted to virtually any size and shape you need. 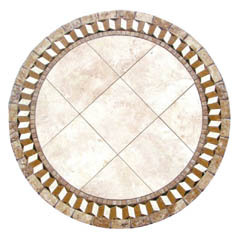 Whether you are looking for something big and round to gather the family around, or long and thin to maximize the number of guests who can reach it, we can produce exactly what you need. 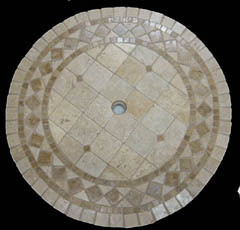 If there is an option you would like to request that you don't see simply contact us and let us know. 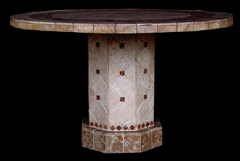 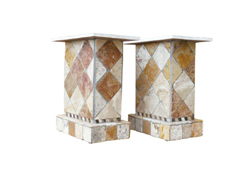 This cocktail table is an exotic expression of soft white tones mixed with rusty red hues, to create a southwestern flavor, which is enhanced by the mountainous look of real, natural stone. 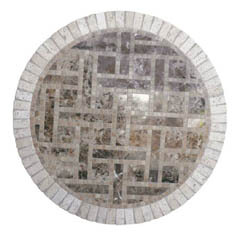 A powerful yet subdued piece that is sure to get noticed. 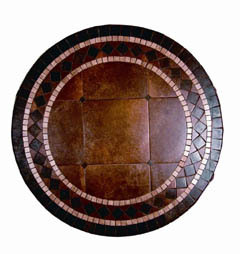 Brilliant somber tones of earth and copper wash over the face of these attractive cocktail tables, bringing to mind thoughts of ancient days, of classical civilizations, of the might of empire and the tragedy of war. 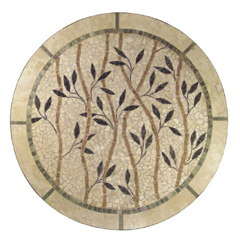 All found within the softly sifting colors of this exquisite porcelain piece. 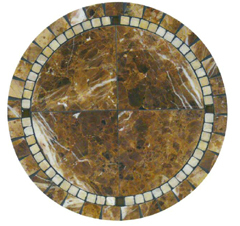 Brilliant gold and amber hues contrast in fanciful competition with soft tans and off white hues to create a shimmering surface of interlocked squares, a beautiful pattern of light on light that will elevate the countenance of any room into which it is placed. 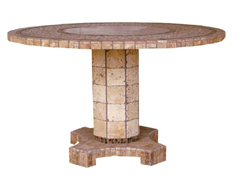 Aside from being fully customizable in a wide variety of sizes, shapes, and patterns, these tables are also available with a customizable umbrella hole, and are specially treated to withstand outdoor conditions, making them perfect for a patio den, or an outdoor living room. 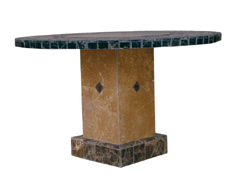 The powerful mountain born surface of the natural stone panels which are used to create these tables are actually quite thin, being bonded to a space age light weight core which ends up making the overall cocktail table surprisingly light and mobile.